UP Basic Education Board is going to start UP D.El.Ed. Admissions for 2017-18 session. Now D.El.Ed. is to be done in place of BTC. Private Colleges are to be given the chances for filling their vacant seats. The approval regarding this had been sent to cabinet and awaiting approval. 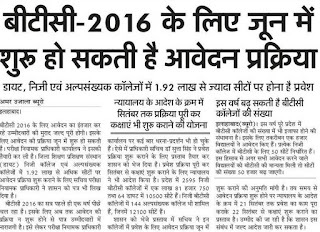 In 2017, candidates will be given two Chances to apply for admission in BTC. The application form filling will be started in upcoming days. 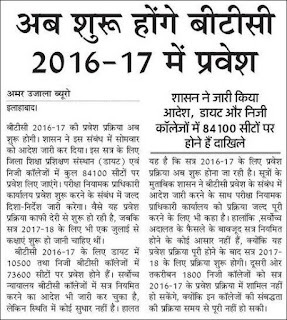 Here you will get latest updates on UP BTC Admission 2015 2016 2017. All the future updates will be posted here for your convenience. बीटीसी के स्थान पर डीएलएड कराने का फैसला लिया गया है | ऑनलाइन आवेदन प्रवेश प्रक्रिया 13 जून 2017 से शुरू हो सकती है | BTC 2016 / D.El.Ed. Admission application forms fillings are to start from 13 June 2017. The order had been given by UP Govt. 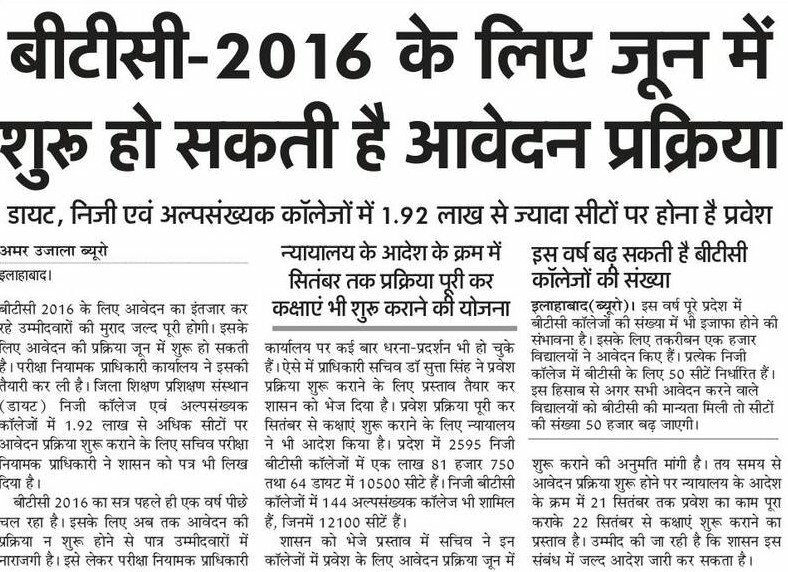 Here is a news for all those who have been waiting to get admission in BTC 2016. There will be two chances for admission in 2017 one in January and other in July 2017. The application forms filling will be started at upbasiceduboard.gov.in website. The sessions of BTC are already running late over time, due to which admission process of BTC 2015 and 2016 is delayed. 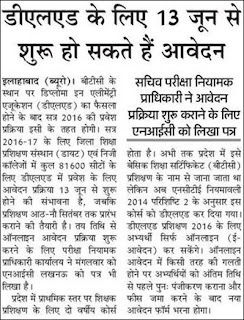 UP Basic Shiksha Parishad will make admission to Basic Teaching Certificate (BTC) course. 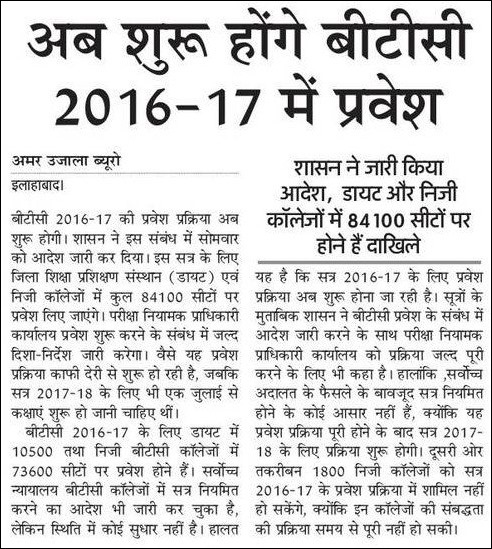 This time, due to recognition to 467 new private colleges, a total of 23000 seats have been increased. Admission cut off merit list release date: . The cut off lists will be released by DIET for document verification. BTC 2015 Admission date: September 2017. Training will be started from : 08-09 September 2017.